This article outlines how to create a data set within the CRM & the benefits of using data sets when analysing your CRM data. Data sets are effectively multiple filters that you would frequently apply to your CRM reports. Therefore, rather than applying these multiple filters each time you create or view a Report, you can just simply apply a saved data set. This article will use the example of a sales region which includes a particular group of sales persons, which would need to be applied to all Sales Reports. 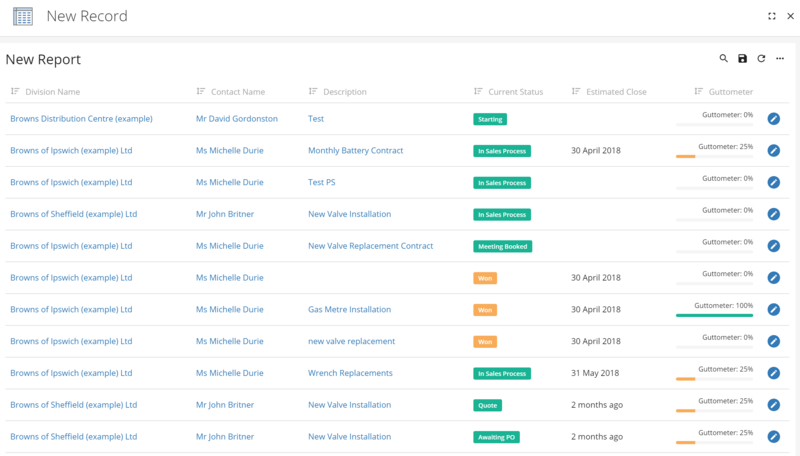 Another advantage of data sets is that if you need to change the filters, such as adding a new sales person, then you just have to change it in one place. To create a data set you will first need to create a Report using the entity that you wish to focus on. In this example we will use the lead entity & will apply a sales person's filter. To apply a filter click on the further options icon (three dots) in the far right-hand corner & select 'Filters' from the drop down. This will then open up a side panel where you can add in additional filters by clicking 'Add Filters'. You will then be able to choose the appropriate field that you wish to filter the Report by. As mentioned earlier we're using the example of a sales region which includes particular sales persons. Therefore, I have selected Sales Person as my filter. Click 'Continue' once happy with selection. 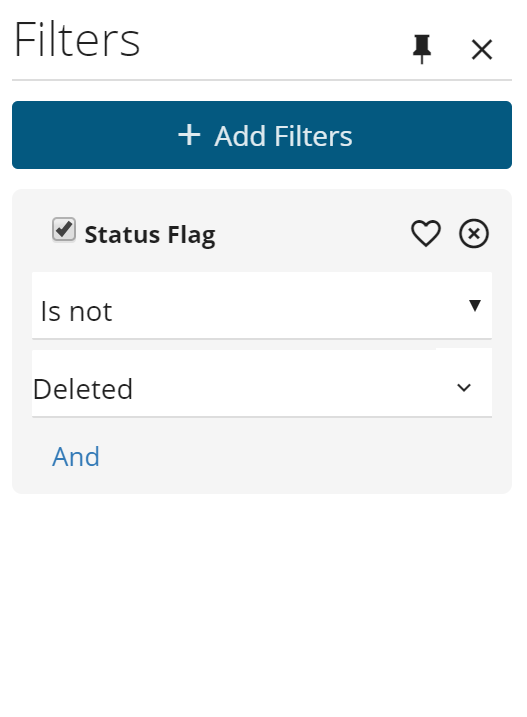 Your new filter will then be added to the filter side panel. 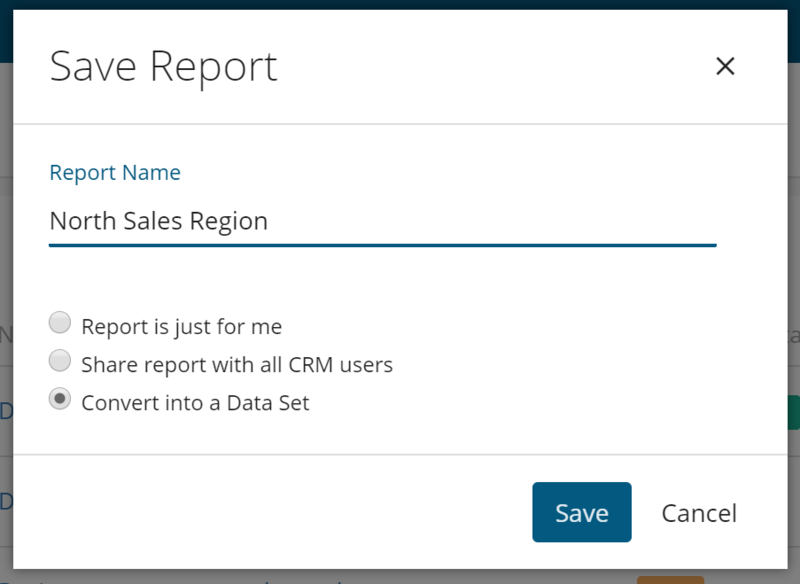 In this example, I have then chosen the sales people who are included in the sales region, which has now filtered the Report featured in the background. Once you have applied the relevant filters you can then save these as a data set. To save this as a data set click on the save icon in the top right-hand corner, then chose to the 'Convert into a Data Set' option giving it an appropriate name & click 'Save'. Now that you have saved your new data set you can start applying it to the relevant Reports. For example we have the standard Sales Report- New Leads & I wish to apply our North Sales Region data set. 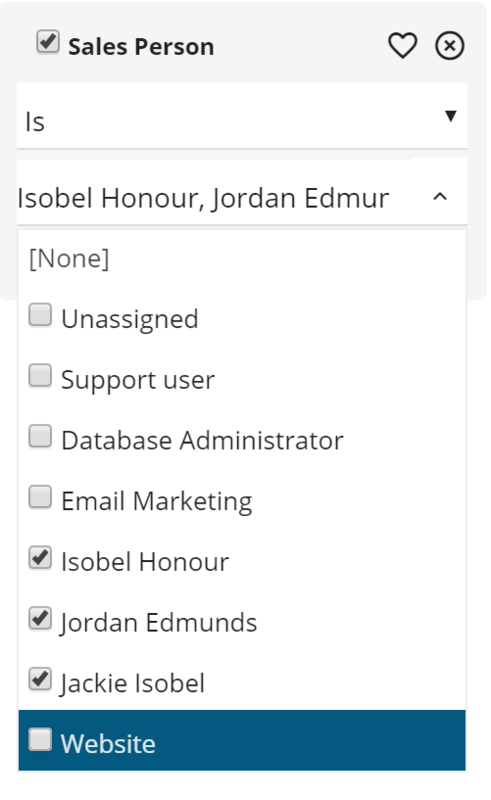 To apply a data set, click on the further options icon (three dots) in the top right-hand corner & select 'Filters' from the drop down. You will then need to click 'Add Filters' & choose the Data Set option at the top of the field tree. Once selected click 'Continue'. 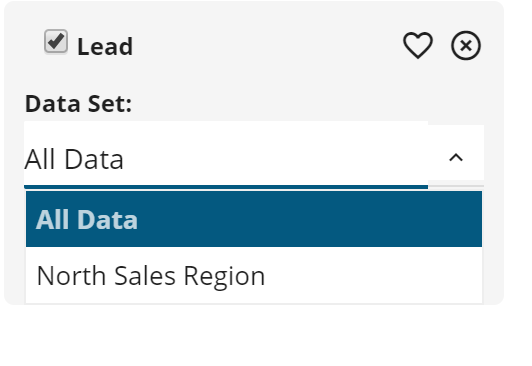 The data set will then be added to the filter side panel where you can select which data set you wish to apply, such as North Sales Region.